Following the release of BWX’s full-year result on Tuesday its shares fell nearly 15% from the previous day’s close of $5.60 to $4.80. This was despite the fact that the group had delivered net profit growth of 25% on the back of increased revenue of nearly 20%. 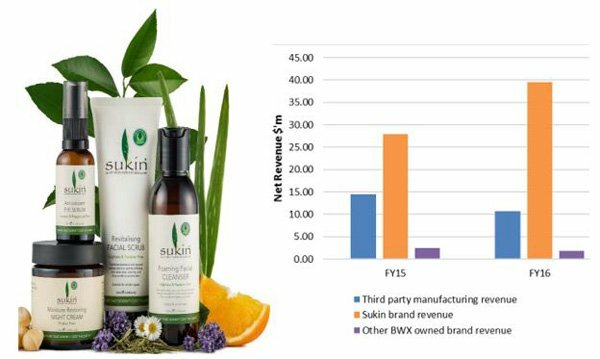 Furthermore, the net profit of $12 million generated by the global manufacturer and distributor of Sukin skin and hair products well exceeded the prospectus estimate of $11.1 million. After analysing the result, John O’Shea from Bell Potter increased his price target from $4.84 to $5.55 while maintaining a buy recommendation. It should be noted that broker forecasts, price targets and recommendations should not be used as the basis for an investment decision. Also, past share price movements are not an indication of future performance and once again should not form the basis of an investment decision. O’Shea noted management’s strong fiscal 2017 EBITDA growth guidance of 30%, but suggested this could be conservative given that it only allows for limited sales to China and a gross margin of 62%. O’Shea is of the view that the transition away from lower margin third-party manufacturing will continue to deliver margin benefits in fiscal 2017 and beyond. Certainly there was evidence to suggest he is on track with this assumption given that the group achieved gross margins of 64.9% in the second half compared with 58.9% in the first half of fiscal 2016. Management has already established a record of under promising and outperforming, suggesting O’Shea may be on the mark with his expectations of slightly higher EBITDA growth than management has forecast. It is expecting the group to generate a net profit of $18 million in fiscal 2017, representing earnings per share of 19.5 cents. This implies a PE multiple of 24.6 which appears conservative given the company’s growth rate which should be considered from a number of perspectives. If BWX meets O’Shea’s earnings forecasts for fiscal 2018 it will have more than doubled earnings per share since fiscal 2015. This translates into three-year compound annual earnings per share growth of 26.5%. Consequently, the price target of $5.55 appears to better capture the company’s growth profile. In terms of peer comparisons, Blackmores which is expected to generate earnings per share growth of 23.2% in fiscal 2017 is trading on a fiscal PE multiple of 25.3 relative to consensus forecasts. BWX is forecast to generate earnings per share growth of 46.9% in fiscal 2017, making its forward PE multiple of 24.6 appear conservative. From an operational perspective it was hard to fault BWX’s maiden full-year result as a public company, having only listed on the ASX in November 2015. The group has achieved credible growth in its domestic business while initiating its export market strategies which sees it leveraged to, but not overly reliant on distributing into the UK and China. Chief Executive, John Humble, is aware of how quickly the landscape can change particularly in Asian markets. When China moved the goal posts for importers of Australian products in April, shares in Blackmores plunged from $205 to $165 in less than a week and they haven’t recovered since. In discussing BWX’s export strategy he said, “Whilst we acknowledge that China represents a tremendous opportunity through the development of both our e-commerce and domestic export channels, we intend to continue to actively develop our export revenues by diversifying into other markets in a similarly strategic and measured manner as we have done to date”. On this note, the company negotiated an agreement in July whereby the Sukin brand will be carried by leading UK pharmacy, health and beauty retailer, Boots. 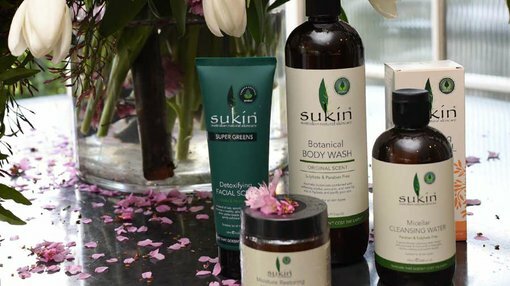 Under the agreement which is due to commence in the second quarter of fiscal 2017 Boots will initially range 27 of Sukin’s bestselling stock keeping units (SKU) in approximately 80 of their highest turnover stores. In addition, 14 SKU’s will be on shelf in a further 140 selected high street locations. The products will also be available for order from any of Boots 2500 retail outlets, as well as through their online store. Given that Boots has in excess of 13,000 direct outlets in 11 countries there is scope to significantly ramp up distribution through this channel. To some extent, analysts view an increase in inventories as a negative factor as it can sometimes be a function of the group’s inability to move stock. However, in BWX’s case the increase in inventory from $8.1 million as at December 31, 2015 to $11.2 million as at fiscal 2016 balance date is a good sign. The company is a fast growing business with new relationships servicing global markets. As such, it must deliver on the distribution front in order to maintain agreements with retailers. BWX is in a strong position to fund growth in fiscal 2017 having generated robust cash flow in 2016, and only having minimal net debt of $3 million as at balance date.